Chances are you’re familiar with the coconut curries and chicken satay hailing from Thailand — but have you ever sampled the cuisine of neighbouring Laos? 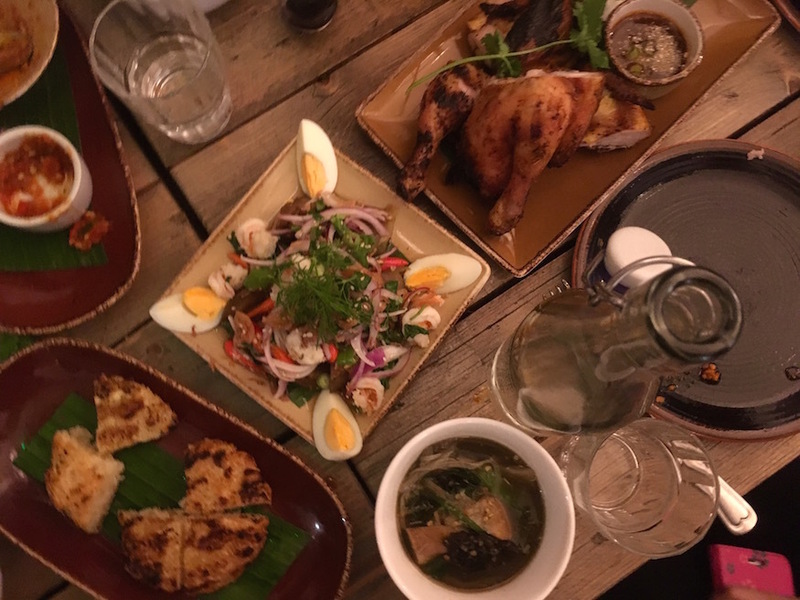 The stunning Lao Café in Covent Garden is the latest venture from the owners of Rosa’s, and is one of the few places in London to offer an authentic taste of Laotian cuisine. 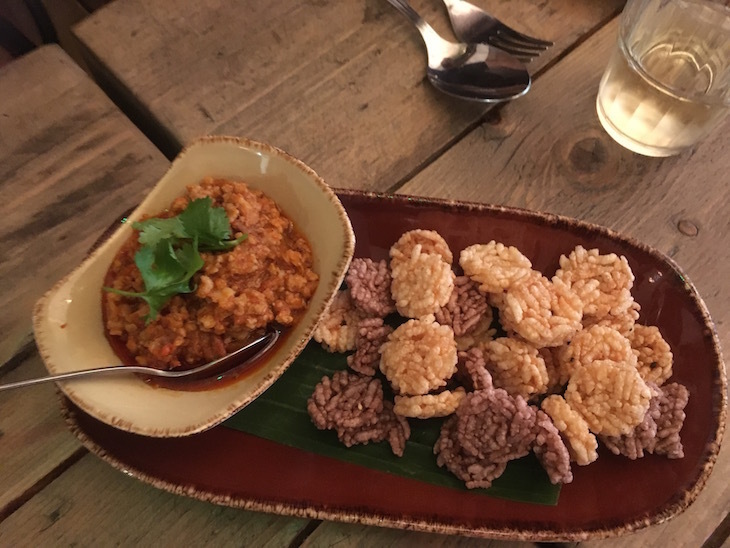 Starters including rice crackers with minced pork chilli dip (originally created as a way to use of leftover rice) paved the way for a spice feast. Lao Café is not one for chilli-phobes. Tom Zaan Gai Gnar Dum, a comforting chicken soup with toasted black sesame served in a clay pot, is the perfect mix of spicy and sour — meanwhile a herbal curry with white fish steamed in a banana leaf (Mohk Pla) is a phenomenally tasty, yet delicate introduction to the region's curries. Traditional papaya salads popular in Thai joints are also on the menu, but with twists such as salted eggs or pickled clams. If you’re feeling brave, there’s the chance to try crispy fried bugs (surprisingly nice), or top your dishes with ants' eggs. Accompaniments include sticky rice grilled in a cake-like form, perfect for mopping up sauces and soups. Inspired by traditional village dishes, Lao Café’s menu is not for the faint-hearted — the spice game is certainly big here. You’ll need a cold beer at hand. Lao Cafe, 60 Chandos Place, London, WC2N 5HG.